For starters, the entry of data is made easier. And special fields are included to let you add a variety of characters in the cells. An attachment can be made, which could be anything really; an image, an audio file, you name it! Secondly, you can select multiple rows easily, put it into a category, do group editing and what not! It is a lot easier than the conventional spreadsheets we use. The best feature is the mobile compatibility of this. The Airtable App has such an appealing and user friendly UI! The record’s key or the id or the name is used like the id card of the record in a catalog. You can easily click on a row’s key and edit it. Since your App and the desktop versions are synced, changes are reflected instantly. 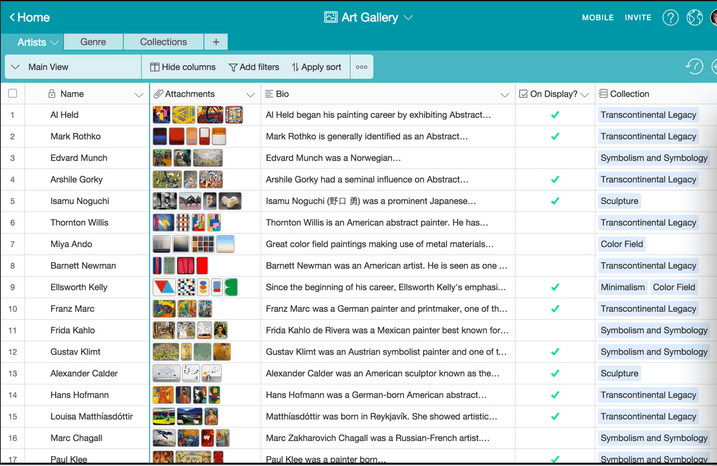 In Airtable, you can hold conversations with a person you’re working with. Google docs allow such a communication. People can edit the spreadsheets simultaneously, but the chat is a different window. Also, Google’s mobile version is not very user friendly, in my opinion. 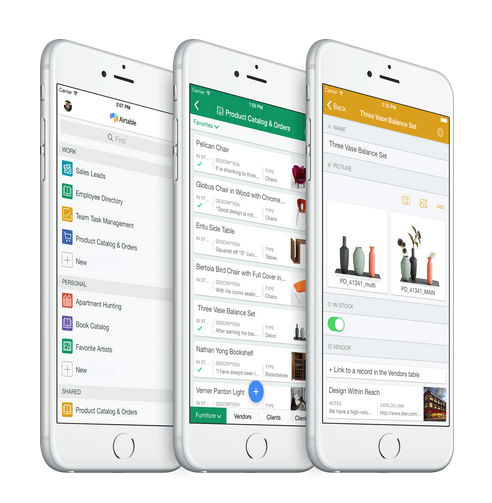 Airtable is also integrated with most of your favourite services like Box, Dropbox, Google Drive for storage and attachments of images and other files. Go to airtable.com. Create a new account. Or sync with your Google+ account for a faster sign up. A beautiful handy guidebook will pop up on the screen. The guidebook is actually pretty interesting. It takes you through its features by making you look from the perspective of another person using spreadsheets. The guidebook also has corresponding videos to make things clearer. Airtable allows you to create a spreadsheet from scratch, import from another spreadsheet or even choose from a template. You can either keep your spreadsheets personal or you can create a new team of people and share the spreadsheet with ease. Airtable, I love it. Do you? Let me know your comments.